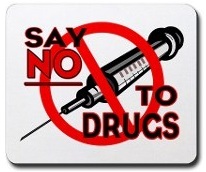 To "Just Say No" to drugs and alcohol, one must have a reason and that reason must be that there are more interesting activities to choose from. It also helps to have an answer to peers who may offer these substances to you. There are so many other activities such as investing in a career , bonding with family and your parents which are more interesting and fulfilling than abusing drugs. Realize that abusing drugs and alcohol may not be fulfilling in the long run and sometimes leads to devastating events in people's lives including prison, homelessness, serious medical problems and even death. Examine all fulfilling activities broadly. Think about the compliments received from utilizing your skills, the rewards of pursuing an interesting career or how much love you receive from your self-esteem. One Should Compare the results of his interests to the results (long-term and short) of abusing drugs and alcohol. Realize that pursuing interests is more fun, cheaper (especially physically), healthier and easier than abusing drugs or alcohol. Learn to Say no when friends, peers, or even strangers offer drugs or alcohol to you. Try to associate with people who do not use alcohol and drugs. Remember that the future is full of hope and promise and that abusing drugs and alcohol might rob you of those beautiful promises. Look at the list of successful people who have been destroyed even killed by drugs and alcohol. Be aware of your talents, skills and accomplishments so you can think of them when you feel worthless. Realize that you can create your own "buzz" or happy feelings by caring about and building, your future. Past accomplishments are key. If you succeeded before you can do it again. You can never look back at a substance-abusing episode with pride, but you can when recalling how you utilized your skills. Seek medical and professional advice when stopping all substances as withdrawing from some drugs can cause health concerns. Police department can effectively protect life and property with the support of the citizens it serves. 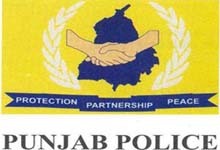 The Punjab police had restored the peace in the state with the support of the citizens not individuals. We urge to use the same standard when assisting us to nab/detect drug peddlers and prevent the smuggling, selling of Heroin, Chars, Ganja, Smack, Poppy Husk, Opium and Synthetics drugs etc.